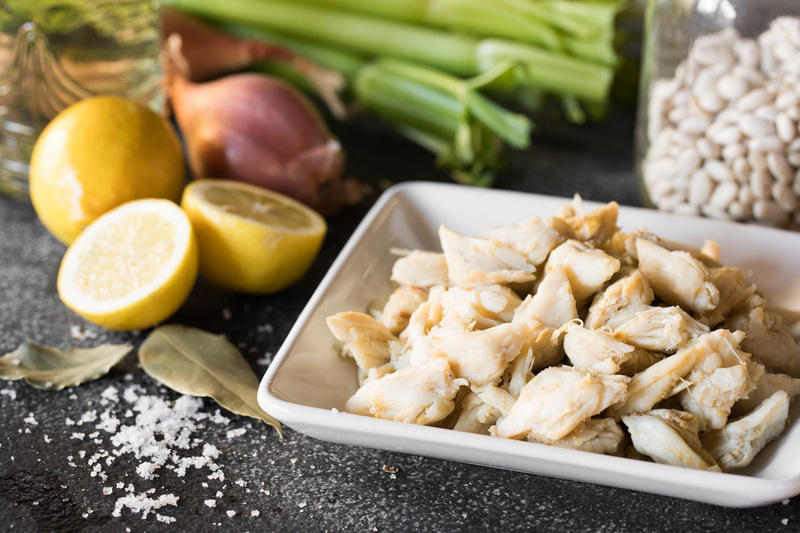 In fact, he simply serves some of his favorites – fresh crab meat, lettuce and croutons – all in one bowl. Crab tip: It comes already boiled. Look for whatever is good, fresh and unpasteurized. 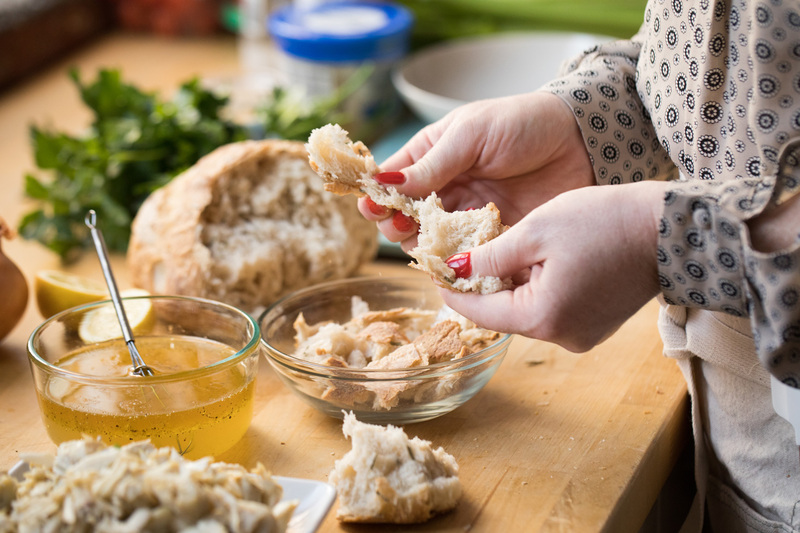 Once you take the crab meat out of the shells, try to keep the crab meat in as big of chunks as possible. Arugula tip: Try to find arugula from a local farmer’s market or wherever local greens are fresh and sturdy. If you can’t get to a farmer’s market, you could use baby kale leaves from a grocery store. Combine ingredients. Fold in minced shallots, finely chopped parsley and last two stalks of chopped celery at the last minute. 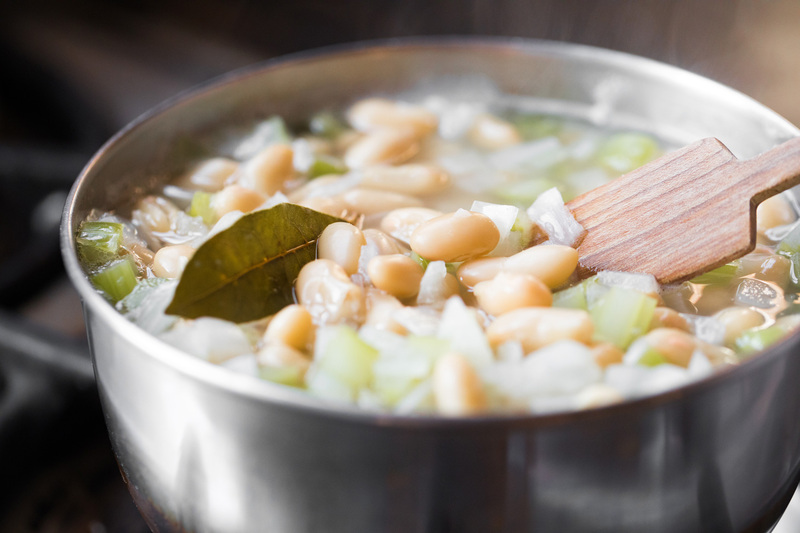 Cover beans with twice as much cold water to beans in pan or bowl and soak overnight. When ready to prepare, rinse the soaked beans. In appropriate sized pot, cover beans with twice as much water as beans. Add a tablespoon of kosher salt, onion, celery and the bay leaf. Simmer until tender. Remove bay leaf, strain and chill. Season with more salt if necessary. 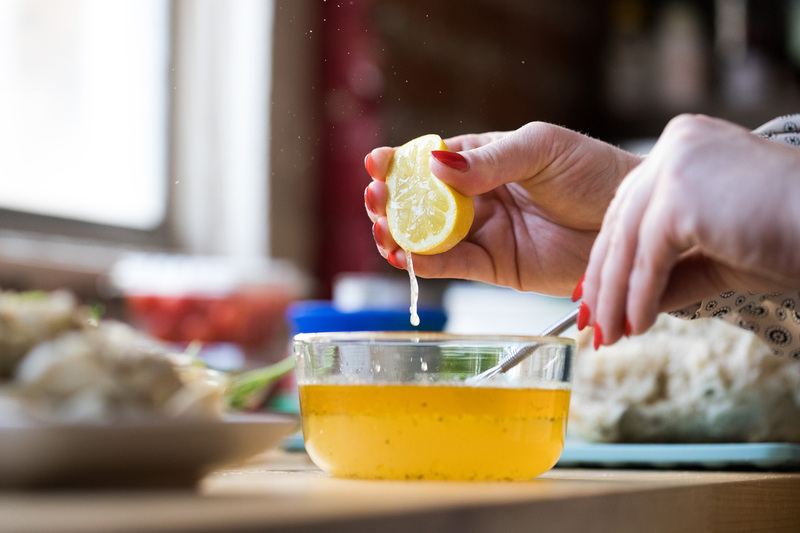 Set aside to chill to dress with vinaigrette later. 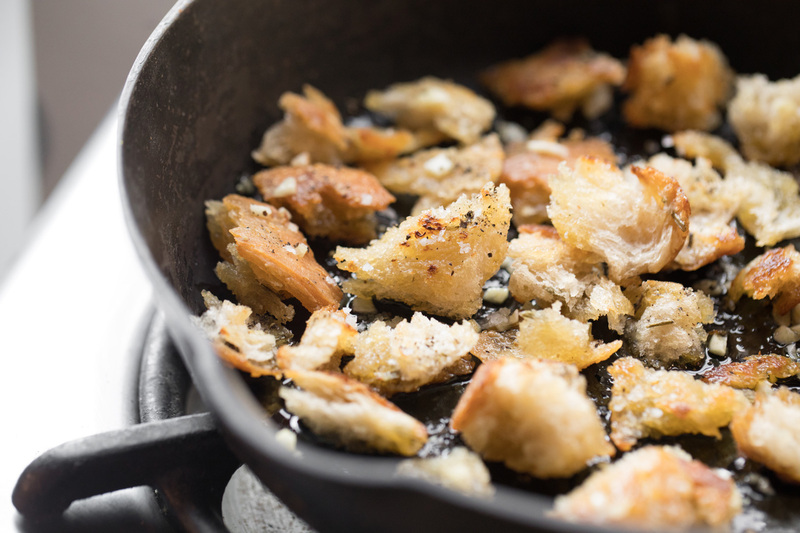 In large sauté pan over medium high heat, heat EVOO and fry, stirring occasionally until bread has a crispy exterior and slightly chewy interior. Add the garlic, kosher salt and black pepper and cook very briefly. Garlic shouldn’t go past golden brown. Cool and dry on a towel lined tray. 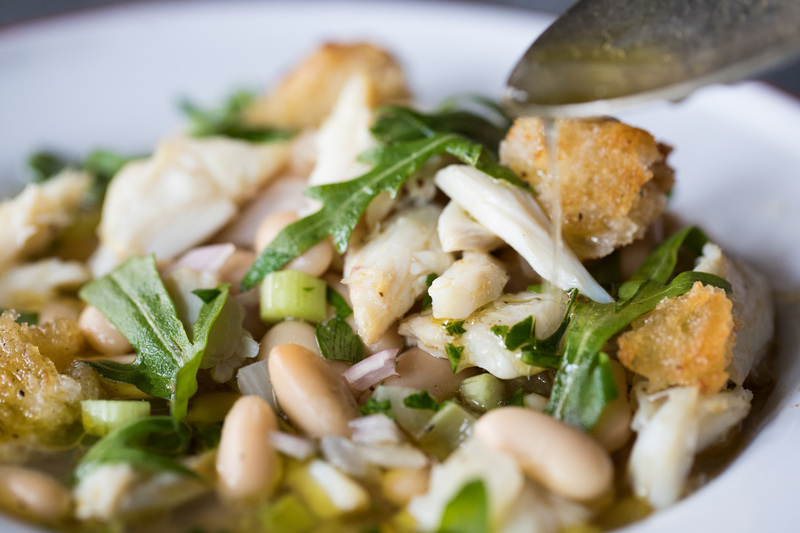 Toss the cold beans with lemon vinaigrette until fairly wet and slightly soupy. Plate beans evenly on the bottom of the bowl. Top evenly with picked, cold crab. Garnish with arugula and croutons. Drizzle with a bit more dressing, salt and cracked pepper.